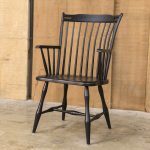 Shaker Style Chairs are available in select woods and are expertly hand made by our craftsmen in our Lancaster County Pennsylvania workshop. 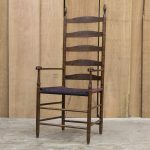 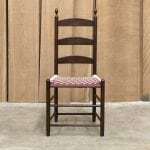 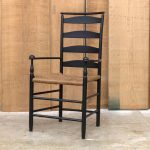 For over 25 years we have been making ladder-back chairs in the Shaker style with seats woven in rush and Shaker chair tape in many wonderful colors and weave patterns. 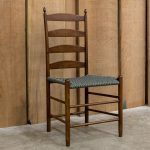 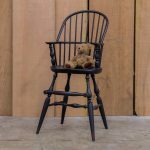 Our chairs are based closely upon original Shaker chairs and are available in many sizes in side chair and arm chair designs. 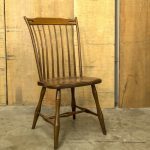 Shaker Style Chairs are very comfortable to sit on and Shaker design is timeless allowing it to fit in well with any decor. 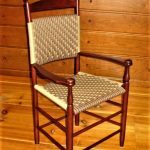 The Shaker chair tape that we use is of high-quality and is made of 100% cotton. 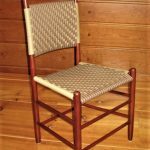 Shaker chair tape can be used in many color combinations and weave patterns such as jeans twill and diamond pattern. 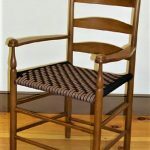 Please contact us if you would like Shaker chair tape sample swatches to make your design decisions. 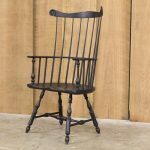 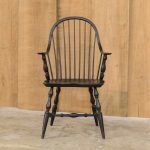 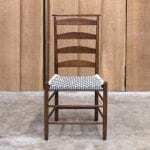 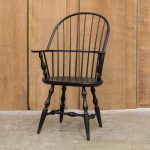 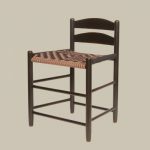 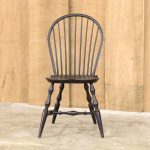 Various Shaker Style Chair seat examples are also highlighted in our Shaker Style Chair product pages.